The running joke within our judicial system is that a prosecutor ‘could get a grand jury to indict a ham sandwich’ should they so desire. It may make lawyers chuckle while sipping 20 year-old Scotch at the end of their day, but there is nothing funny about that statement. This is especially true if you are an innocent person without the funds to fight what could be a prolonged legal process. The truth is that the standard of proof required to get an indictment is so low that grand jury indictments have often been used to coerce citizens into plea bargains, frighten people to aide with criminal investigations against their will, or to attack political and personal enemies. Last week Texas Governor Rick Perry was indicted by a Travis County grand jury on two counts related to the ethical improprieties of Travis County (Texas) District Attorney Rosemary Lehmberg. The indictment centers on Perry’s commitment to veto funding for the State of Texas Public Integrity Unit, which is an ethics enforcement agency controlled by District Attorney Lehmberg. It is Lehmberg’s criminal behavior that is really at the heart of this issue. In April 2013, Lehmberg was arrested for driving while intoxicated. Lehmberg had an open vodka bottle in the car, and her blood alcohol level was 0.239; nearly three times the legal limit in Texas. Callers indicated that Lehmberg was driving erratically, drifting into the bike lane and crossing into oncoming traffic. During her arrest Lehmberg was disruptive and uncooperative with law enforcement (refer to videos below). Lehmberg would eventually plead guilty to the charges, paying a $4000 fine, spending 45 days in jail and a loss of her license for 6 months. Lehmberg also refused to resign her post (both as district attorney or the head of the Public Integrity Unit), mounting additional legal battles to hold onto her office, even though the public trust had been greatly eroded. The Austin Police Association formally called for Lehmberg to resign, having lost faith in her ability to represent the best interests of the public. 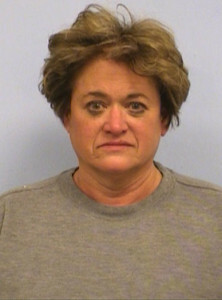 However, Lehmberg’s legal woes did not stop with her DUI conviction. Lehmberg is facing an additional ethics complaint accusing her of failing to properly report on her campaign finance reports the source of the more than $227,000 in attorney’s fees she paid to her defense counsel. Governor Perry responded to the indictments by stating – “This farce of a prosecution will be revealed for what it is, and those responsible will be held accountable.” Perry is being kind. Americans are now witnessing first -hand a political witch-hunt spearheaded by a group of unprincipled Democrats. The very same Democrats that stood-by Lehmberg, a Democrat, throughout her trial, ignoring her reckless behavior that placed the very citizens she was sworn to protect in danger. The same Democrats that ignored the fact that Lehmberg was abusive and violent towards law enforcement officers during her arrest; the same public safety officers that had worked closely with Lehmberg on criminal investigations in the past, and would be required to work with her after arresting her. The same Democrats that ignored the fact that Lehmberg tried to use her position to avoid the charges. The same Democrats that are now ignoring Lehmberg’s questionable campaign finance expenditures. If there is any integrity left in our judicial system these indictments will be exposed for what they are, a disgusting display of political absurdity, motivated by pettiness and dogmatic idiocy.